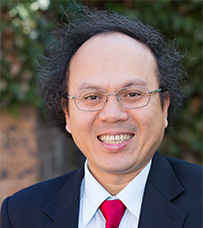 Dr. Nam Hoang has taught econometrics and macroeconomics at University of Economics (Vietnam), Purdue University (US), American University (US) before he joined the UNE Business School. His fields in teaching and doing research are Econometrics, Time-Series and Panel Data Modeling, Macroeconomics. Econometrics, Time-Series and Panel Data Models, Discrete Choice Models, Macroeconomics Issues, International Finance, Development Economics. Hoang, N., Nguyen, B. (2018) “Oil and Iron ore Price Shocks: What are the Different Economic Effects in Australia”. Economic Record (A)- Vol 94. Komaladara, P., Patrick, I., Hoang, N. (2018) \Contract bonus systems to encourage biosecurity adoption on small-scale broiler farms in Indonesia”. Animal Production Science,(A), Vol 58, pp 595-600. Thenurara, W., Hoang,N., Siriwardana, M.(2017) \Demographics and Asset Markets: A Survey of the Literature”. Theoretical Economic Letters (B), Vol 7. Hoang, N., Morales, L.E., and Grith, G. (2015). Spatial Price Premium Transmission in Agri-Food Chains: The Case of MSA Cattle Premiums in Australia. Australian Agricultural and Resource Economics Society (AARES), 59th Annual Conference. Rotorua, New Zealand. Morales, L.E., and Hoang, N. (2013, February). Modelling Volatility of Australia Beef Export Prices. Australian Agricultural and Resource Economics Society (AARES) meeting. Sydney, Australia. Morales, L.E., and Hoang, N. (2012, February). Beef Marketing Margin in Asian-Oceania Countries. Australian Agricultural and Resource Economics Society (AARES) meeting. Perth, Australia. Eric Stuen, Nam Hoang and Van Hoang (2011, July). Malnutrition and Fertility: Evidence from Vietnam. Western Economic Association International (WEAI) meeting. San Diego. Morales, L.E., Griffith, G., Wright, V., Fleming, E., Umberger, W., Hoang, N. (2011, February). Propensity to Buy Branded Beef Among Groups of Australian Beef Consumers. Australian Agricultural and Resource Economics Society (AARES) meeting. Melbourne, Australia. Hoang, N., and McNown, R. (2008,February). Domestic Saving and International Capital Flow: Evidence from New Panel Data Cointegration Tests. Invited presentation. Department of Economics. University of Manitoba-Canada. Lecturer UNE Business School, University of New England, NSW, Australia.